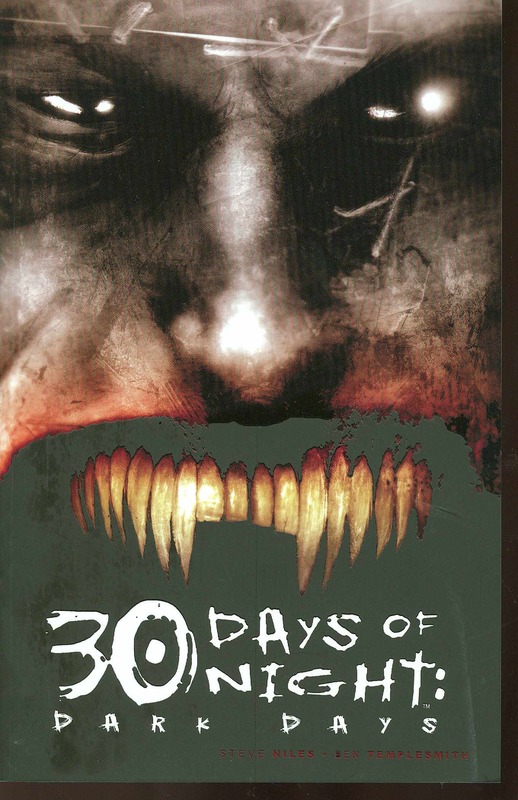 by Steve Niles & Ben Templesmith 30 Days of Night was the first huge trade paperback success of 2003, topping graphic novel bestseller lists for months! Now its sequel, Dark Days, is collected into a trade paperback, and history is set to repeat itself. The six-issue mini-series follows Stella Olemaun's efforts to warn the world about the threat the vampires pose - the vampires who overran Barrow, Alaska, killing her husband and most of the town. With an exclusive introduction by screenwriter Eric Red (The Hitcher, Near Dark), the flat-out terror of Dark Days will reaffirm the dominance of Niles and Templesmith over the realm of illustrated horror fiction! .